To a ranking Roman soldier, a war skirt was a stylish addition to their armor and an extra piece of protection to keep him safe in battle. 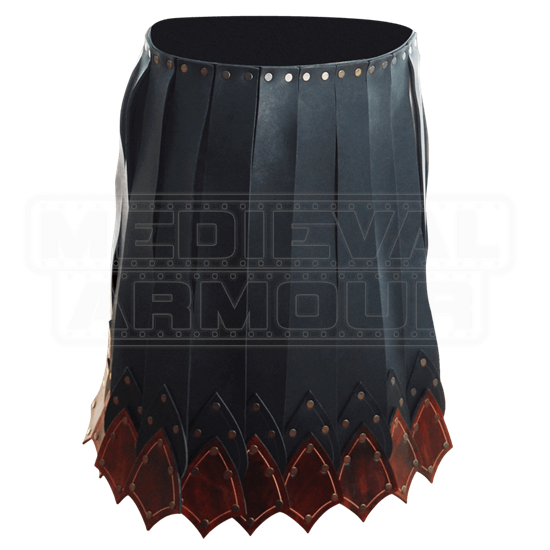 This Praetorian Leather Battle Skirt offers to you a similar accent with ancient style. The skirt is worn about the waist like a belt and is made entirely from a combination of 9-10 oz. and 5-4 oz. leather. 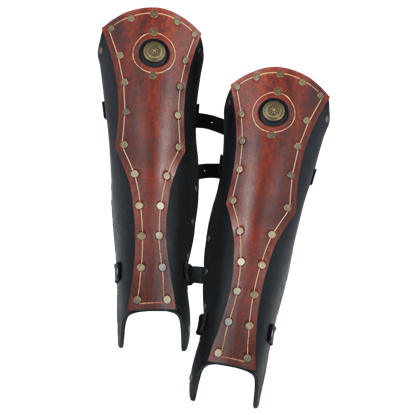 Long individual black leather straps drape across the upper legs, while rich brown leather plates adorn the tips of the skirt. 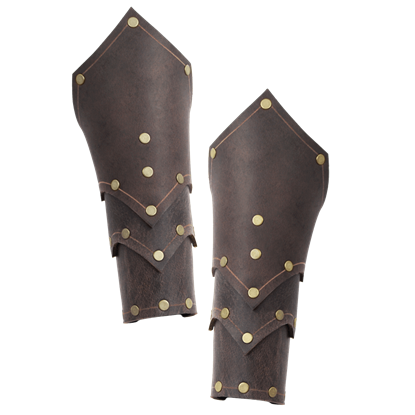 This allows the armor to easily move with the wearer. The back of the belt is secured with an adjustable buckle. 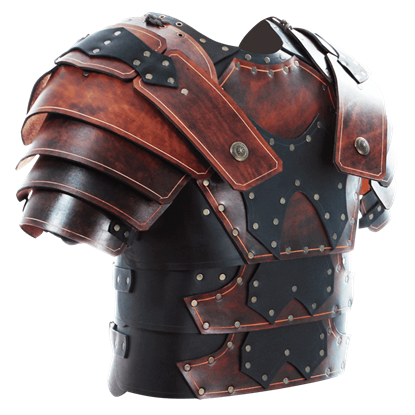 It pairs perfectly with our Roman armors, especially with our Praetorian leather pieces. 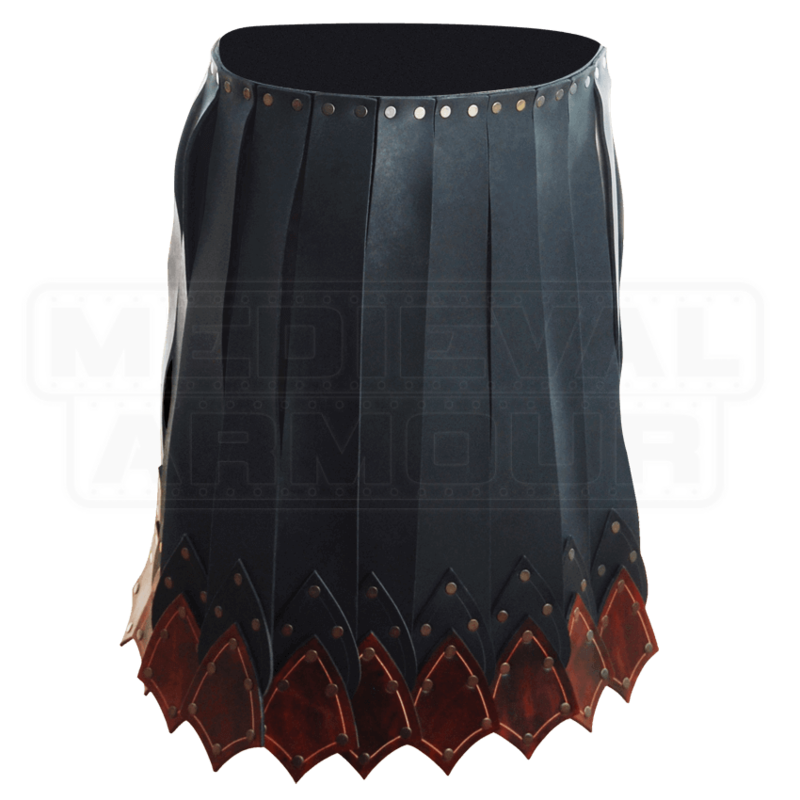 More than that, this Praetorian Leather Battle Skirt also acts as a great personal accent and addition for you to use in your next great Roman warrior look.